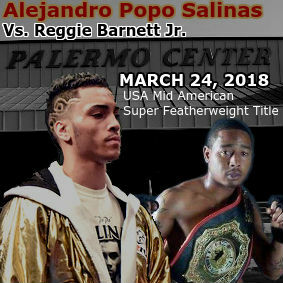 According to BoxRec.com, Alejandro Popo Salinas has his next victim within sights as Reggie Barnett Jr. has been named the opponent for the March 24th bout scheduled to take place at the Palermo Center in Campbell. Salinas, 23, is on a six-match winning streak and will be looking to win some hardware in his scheduled 8-round match with Barnett as the vacant USA Mid American Super Featherweight Title will be on the line. Barnett, 31, holds a record of 6-1 while the Chesapeake, Virginia native is on a current win streak of his own having won his previous three bouts. This will be the first match for Salinas since he defeated Duarn Vue by decision at The Cannery in Las Vegas live on Fox Sports 1 in September to improve his record to 9-1. 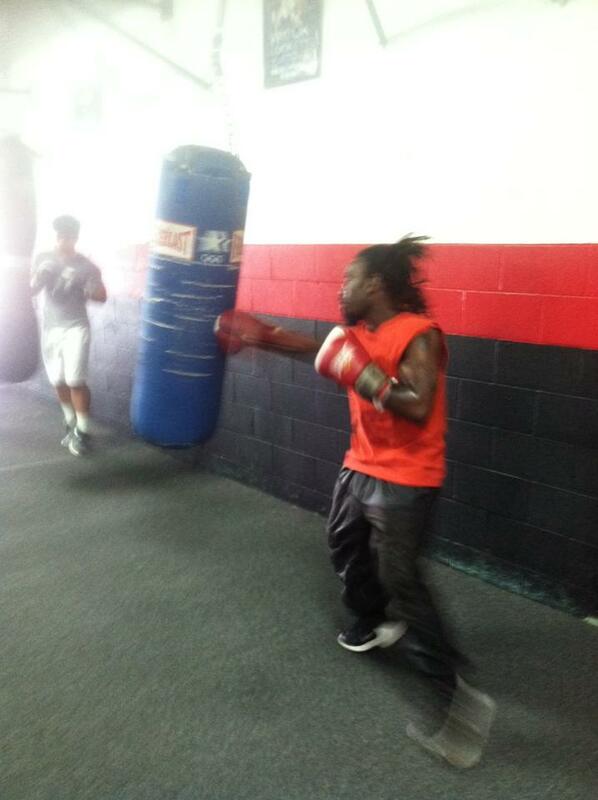 Also slated to appear on the card is Warren native Anthony Taylor. Taylor, 26, has been inactive since May as the super flyweight is slated to take on Jesus Rojas of Columbus, Ohio by way of Brooklyn, New York. Rojas, 25, currently holds a 2-3-1 record while Taylor will bring a 4-2 record into the bout. We will have more details as they become available including ticket information.